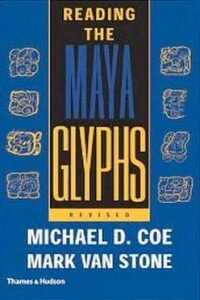 “2012: Science and Prophecy of the Ancient Maya”, is a full-color, 172-page book inspired by Maya inscriptions, astronomical knowledge, math, and myth. 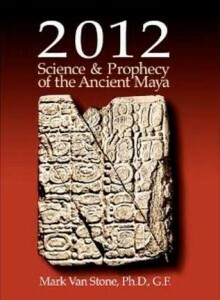 Prof. Van Stone has spent the last several years researching what the Ancient Maya actually said about 2012. 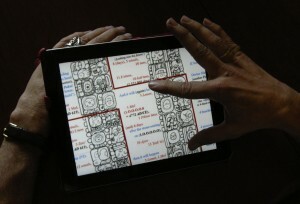 The result is based entirely on science, archaeology, decipherment, and Precolumbian art. (No channeling of ancient priests! No Planet X!) Large and beautiful, 169 pages, richly illustrated in color throughout. To make this arcane material as accessible as possible, he examines the phenomenon in 38 short, digestible essays, which one can read in any order. It is eminently browsable. 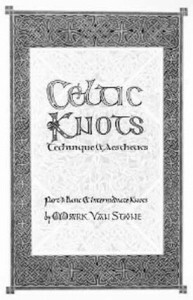 A brief history and introduction to the actual techniques used by early Christian monks in Ireland, the British Isles, and the continent, to make what we call Celtic knotwork. Prof. Van Stone discovered this and other art techniques in 1972, and has taught them to thousands of calligraphers and enthusiasts for almost four decades. There are several instruction books purporting to teach you How To Make Celtic Art, but none as simple and direct as this. What worked 1300 years ago works today. 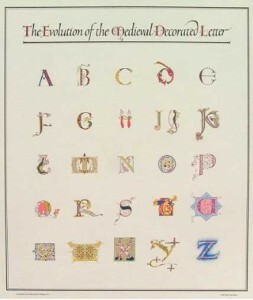 “The Development of the Medieval Decorated Letter” is a four-color poster designed and printed in the 1980’s by master illuminator and script historian Mark Van Stone. Each letter is in a different Medieval style, arranged in chronological order: the A is based on the earliest decorated letterforms, found in the 4th-century Codex Augusteus. The B, C, and D, are in 5th and 6th-century Italian and French manuscript styles, while the E comes from the early-6th-century Byzantine Vienna Dioscurides Codex. The F is from the Irish Cathach of St, Columba, and so on, till Z, based on a manuscript illuminated by Hans Holbein in the 16th century.